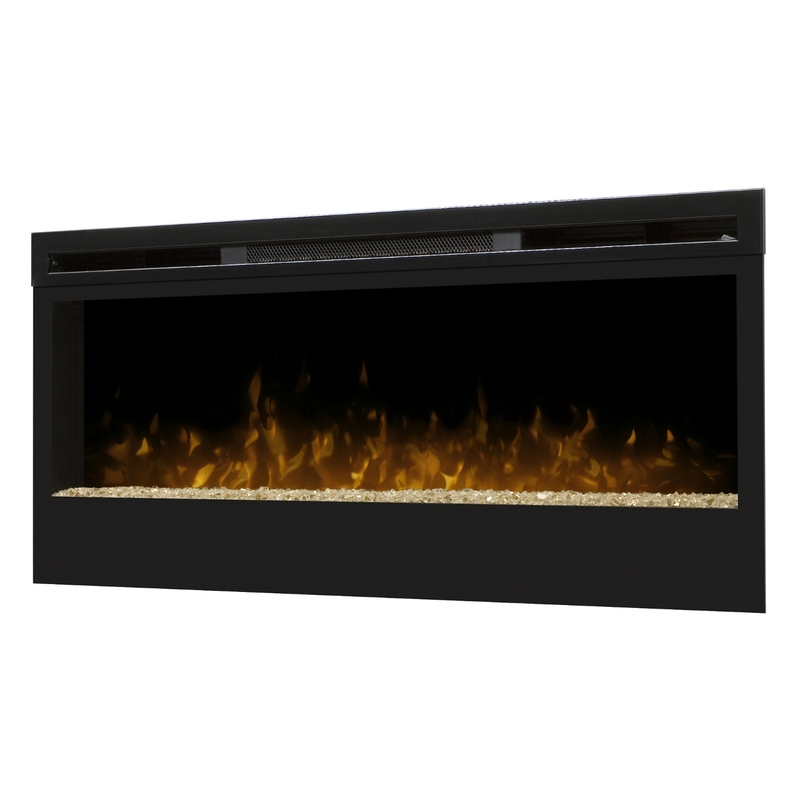 The Dimplex 50″ “Synergy” Electric Fireplace Insert/Wall Mount BLF50 has a 120 Volt / 1230 Watt /4198 BTU heater and interior light and flame speed control. It includes a powerful fan-forced heater designed to heat a room up to 400 square feet, providing supplemental heat when required. 2Yr Ltd Manufacturer’s Warranty. The sizing of this Dimplex 50 Inch Synergy Electric Fireplace Insert Wall Mount BLF50 makes it a perfect fit for any room. Contemporary design, warmth and snug to the wall fit make this unit a must have for the most discerning consumer or designer. The LED flame meanders from the middle of the crushed glass ember bed giving the unit an impressive effect.